Just like any other industry, as time goes on, significant developments are being made in the architectural industry. As the industry grows, more and more demands are being made to create something stunning. While there are certainly plenty of different architectural methods around, a common material used amongst architects is aluminium cladding. Aluminium cladding allows a range of stunning creations to be achieved. From rusted dark colours to vibrant pearlescent colours, the possibilities are endless. Why else should aluminium cladding be on your radar? 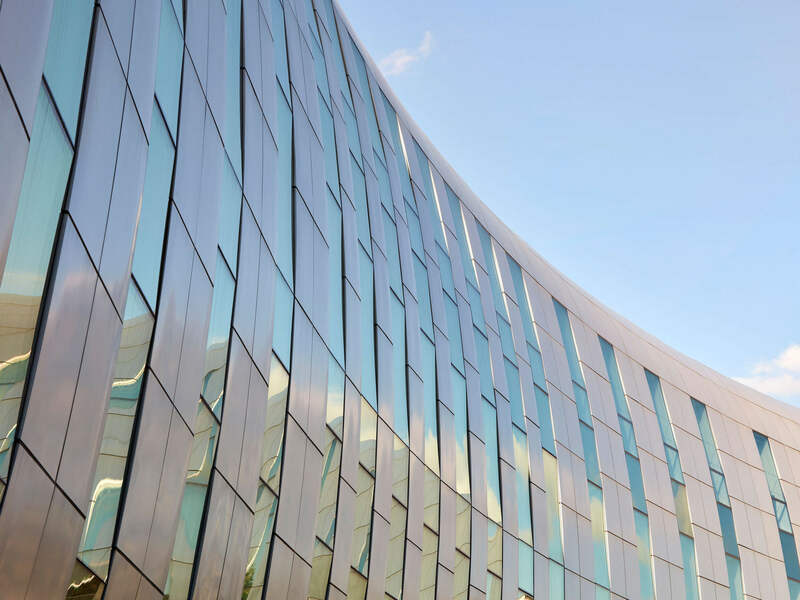 Whether creating an entirely new building or renovating an old one, Aluminium cladding can help insulates a building. Making a building more energy efficient contributes to its sustainability levels. This is particularly ideal for high-rise buildings and blocks of flats, where energy efficiency is commonly a problem. In addition, aluminium is completely recyclable! This means that any leftover materials from your project will not go to waste! As well as being sustainable, aluminium is also extremely practical. It’s lightweight and durable. Its lightweight nature means that extra pressure is not placed on the structure of the building. However, lightweight does not have to mean it is flimsy. Aluminium offers excellent durability. Its resistance to wind and other elements means that you are left with a strong, long-lasting solution. As for safety ratings, Aluminium achieves European Fire Class 1, being classified as a non-combustible material. I know we have briefly touched on this, but it is important to understand just how versatile aluminium is. With aluminium cladding, you not only have a choice of colours, but also a choice of patterns, effects, shapes, sizes, the list goes on. It is almost completely customisable. For more three-dimensional effects, corrugated and waved pattern are just of a few of the effects that can be achieved. With the exception of a simple clean every now and again to maintain the aesthetic elements of a building. This makes aluminium easy to maintain, ecological and environmentally friendly. This also means that aluminium is a cost-effective solution throughout its lifetime. Old buildings, depending on the age, often don’t have the strength to facilitate much redevelopment. However, due to the lightweight nature of aluminium cladding, it can be added to the exterior of an old building, often without the need for the building to be strengthened or structurally changed. Of course, this boats extraordinary cost benefits. For more information about Aluminium Cladding, and to find out what we can create for your next project, please get in touch today.